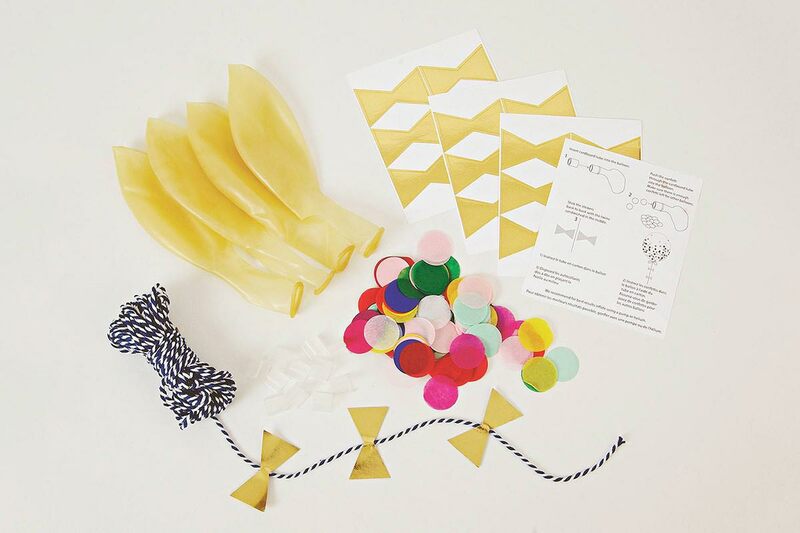 Decorate your party in style with this balloon and confetti kit. It comes with shiny gold foil stickers and lots of multi-coloured confetti to decorate a whole room. Pack contains 8 assorted balloons, 1 bag of 1 inch diameter confetti, 8 sticker sheets, cord. Balloon diameter: 18 inches.